Deuces Wild poker game is developed by Amaya Gaming, a company specialized in card games. They like to use a modern interface in their games and this can be seen in Deuces Wild too; the game looks eye-candy when compared to other titles in this genre. The rules and the gameplay are still the same of course, you try to form a winning poker hand to get paid. Deuces Wild games are ordinary five-card draw poker games but with one big difference: all twos are wild. In other words, twos substitute any other cards in the deck to make a poker hand, or “upgrade” the current hand. (Suits do not matter.) The winning odds of Deuces Wild games are significantly higher because of this reasons, and the payouts are unbelievable. In fact, Deuces Wild poker is the only casino game with a theoretical return value of %100.8. Another good thing about this type of video poker games is that you get a four of a kind hand at every fifteen hands, approximately. In other words, getting a good hand is nearly guaranteed. This is also the case for Deuces Wild by Amaya Gaming, you can win up to 4.000 coins at each spin. The interface of the game is pretty looking and easily understandable. To the top, there is a paytable showing the payout values of each hand. Playing the game is simple, you start with setting the coin value per spin, which can be between 0.01 and 5 coins. After that, press on the “deal” button to get your first set of five cards. You can keep the cards you like by clicking on them. When you press the “deal” button again, new cards will be dealt. If you manage to get a winning hand at this stage, you are going to get paid according to the paytable. Pressing “Bet Max” button allows you to play with maximum bet values, which are 25 coins. We recommend wagering this value to get the highest payouts. You have 50.000 coins in the demo version, so there is no need to worry. 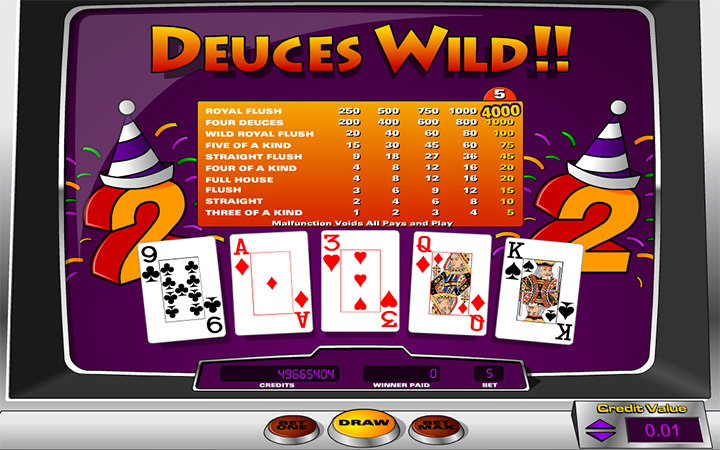 Deuces Wild is a nice looking video poker game with satisfying amounts. If you like to play video poker online, highly recommended. 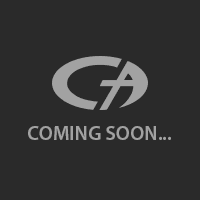 Play at Casino Ave for more quality card games!